Located across from the historic St. James Cathedral, La Maquette provides a magnificent backdrop for any event. 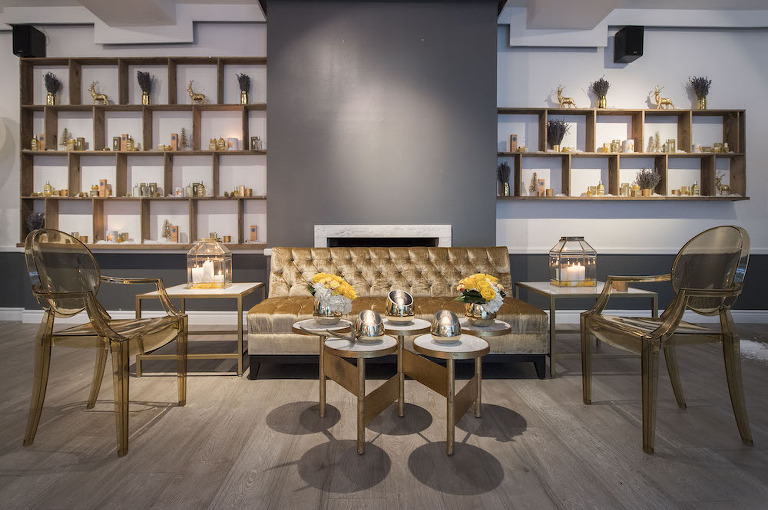 With its architectural beauty, exceptional cuisine and warm, personable service, La Maquette is perfectly chic and an ideal location for both traditional and unconventional events. 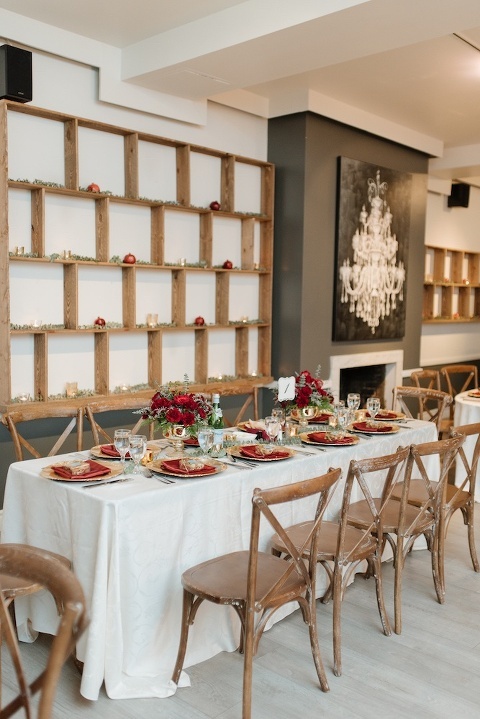 My husband and I recently hosted our wedding at La Maquette and it was absolutely fabulous! The food was out of this world, the staff were amazing and the atmosphere is stunning. Every guest I spoke to either told me how beautiful the space is, how delicious the food was or how excellent the staff were! 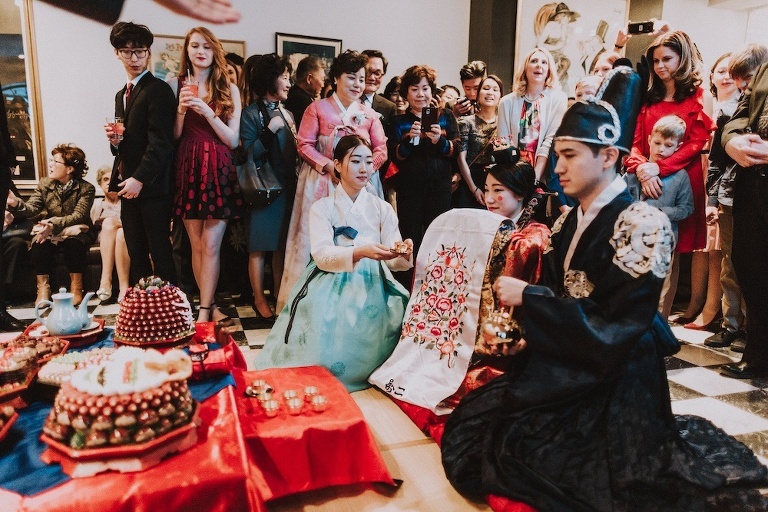 Berkeley Events has put their unique spin on this legendary intimate wedding venue and created the ideal spot to blend charm, intimacy and romance for your wedding. The outdoor patio adjoining the Toronto Sculpture garden is a unique spot for an on-site ceremony. 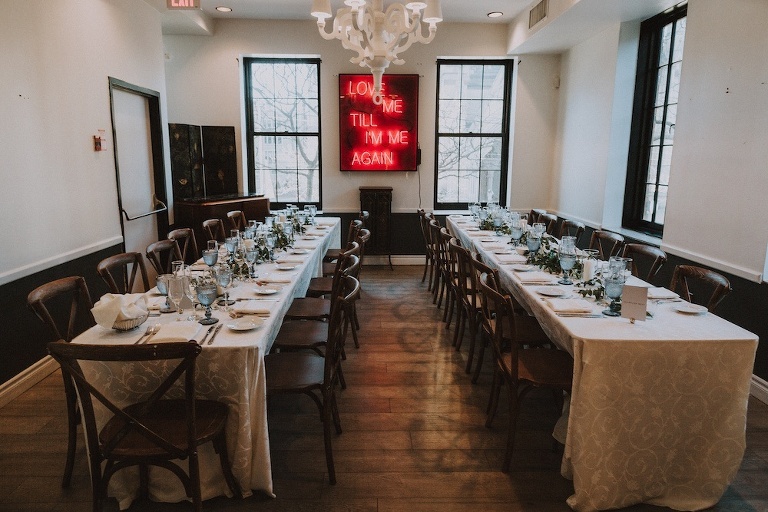 The bi-level event venue allows you to design the flow of your day for a hip, or more traditional vibe. The gorgeous ”Cinderella Solarium” also provides a great way to bring the outdoors inside, regardless of weather, for an added touch of nature on your big day. La Maquette is located in the heart of Old Toronto’s Church Street neighbourhood, within a five-minute walk of the cities major cathedrals. I held a corporate event at La Maquette last week. 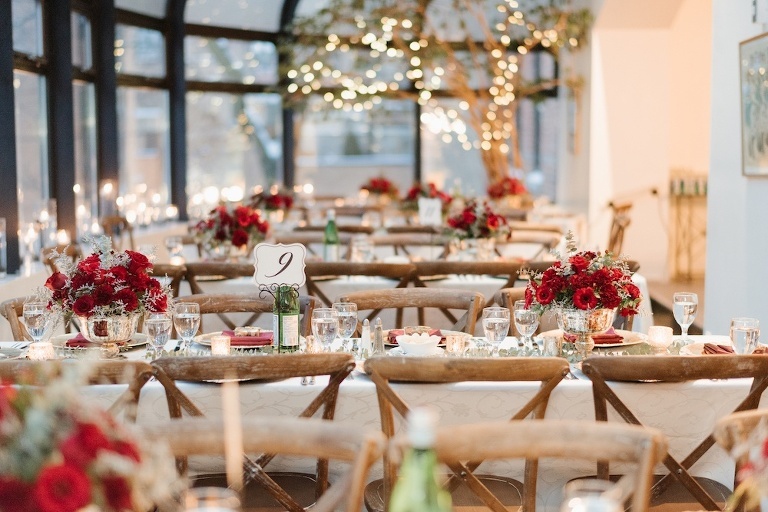 The venue was absolutely beautiful (rustic + glam)! The food was delicious and above all else, the staff was top notch, professional and efficient. 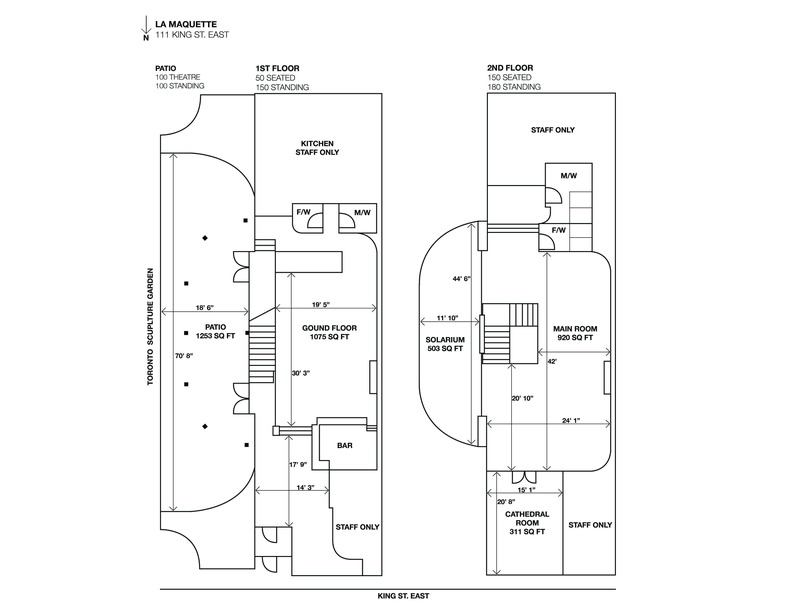 Situated in the core of Downtown Toronto, La Maquette is an Art Deco, two story gem. 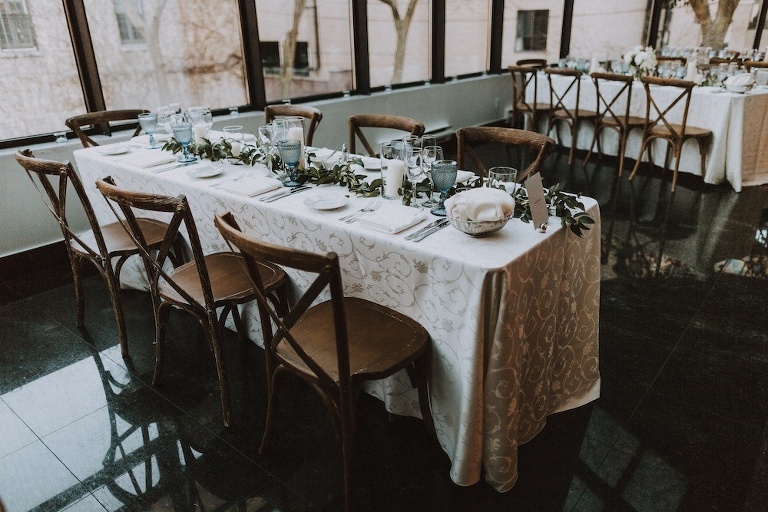 With its gorgeous main floor patio, beautiful upper level and “Cinderella Solarium” facing Toronto’s famous Sculpture garden, this corporate venue is perfect for any event. 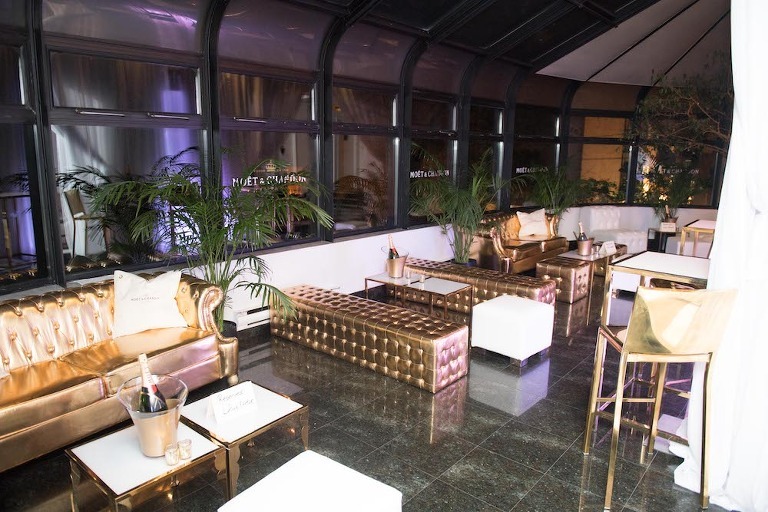 La Maquette’s presence in Toronto’s landscape creates a vibrant energy that will have your guests loving your event. Natural lighting keeps your guests positive and attentive to your content. 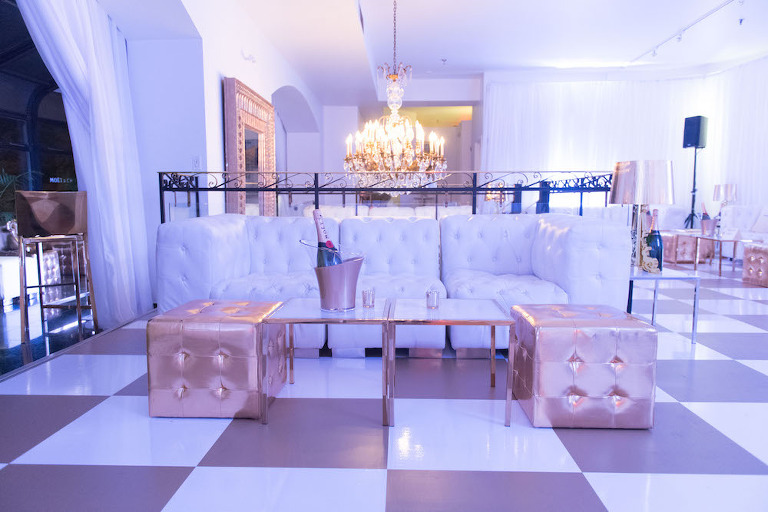 The bi-level design of the space allows for the ability to design your event flow and utilize breakout areas with minimal disruption to your day. 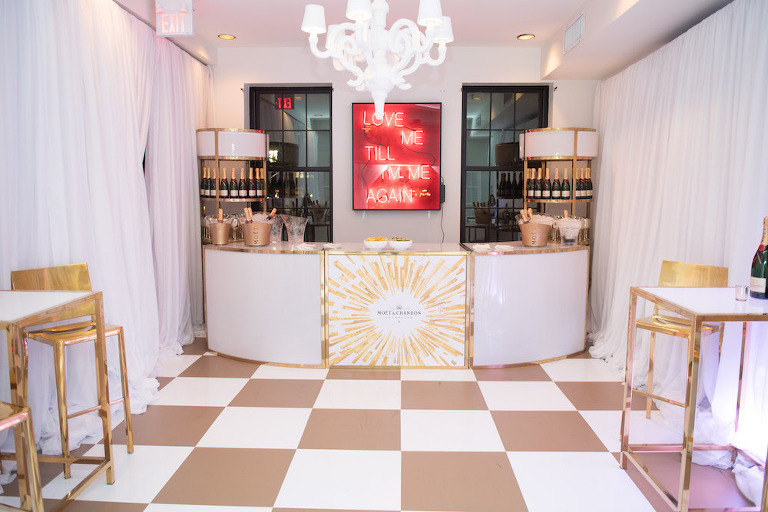 La Maquette provides a unique space that can also be customized easily with your branding on windows, wood shelving, and our feature chalkboard wall. There is a paid underground parking lot located at Metro on 80 Front St. E.